Australia has always been a global leader in agricultural innovation. Enthusiasm for emerging technology and world-class practices has seen the industry flourish against harsh environments, creating employment and business opportunities worth billions of dollars every year. 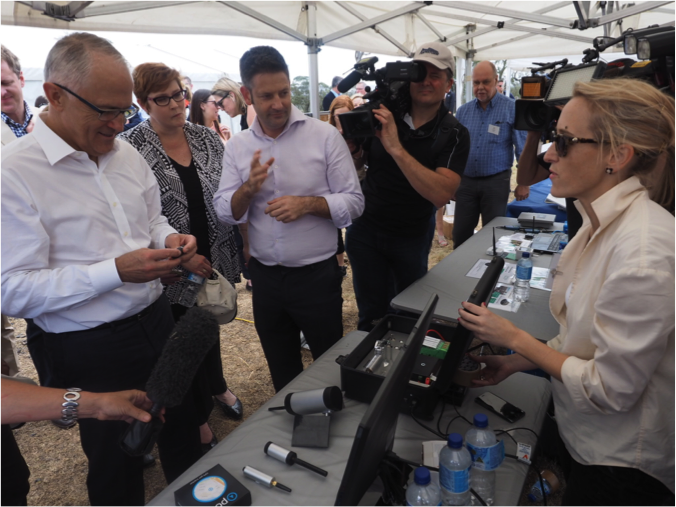 The Smart Farming: Inquiry into Agricultural Innovation report, tabled by the House of Representatives Agricultural and Industry Committee in Federal Parliament recently, adds another strong voice to growing calls for greater investment into regional mobile services. Backed by a series of key recommendations, including the continuation of the Mobile Black Spot Program, it is a launch pad for Australian farmers and agribusinesses to take their industry to the next level. The Smart Farming report identifies key areas where agricultural innovation is helping farmers succeed, and how government can continue to transform the industry. It also acknowledges the challenges faced by current innovative farmers in successfully adopting new technology; from demands on Internet, cloud, and physical infrastructure to outdated regulations and the need for more technically skilled employees to shepherd this technology into the mainstream. As Australians increasingly choose mobile services over landlines, the Telco class divide which exists between customers in the major cities – who have access to world-class, competitive mobile services – and those in regional areas who don’t, must be addressed. – Dan Lloyd, Chief Strategy Officer, Vodafone. The report contains 17 key recommendations, of which nearly a third relate to greater investment in regional mobile services. This includes the ongoing government funding of the Mobile Black Spot Program, an investigation into cost-effective wireless networks, and an investigation into incentives for mobile network operators to provide roaming services in rural and remote areas. The Committee’s findings reinforce long-standing calls for reform by Vodafone and many others, including Infrastructure Australia, the National Farmers’ Federation and the Australian Competition and Consumer Commission, and sends a powerful bipartisan message that our great agricultural industry could be much more productive and profitable with better, cheaper mobile services. Contact your local Member NOW and let them know you support a permanent Mobile Black Spot Program for regional Australia.